4.97 out of 5 based on 135 user ratings. My Fiance Jacelyn and I have been engaged for a little over a month now. We have both been married prior and did not know exactly what type of wedding we wanted. We visited several venues online, looking at the galleries and reading the reviews. There was just something about Mediterranean Manor. We looked at a couple of venues in person and saved the Med for last. Our appointment was set with Kate for a Tuesday afternoon. When we arrived onsite, the gorgeous landscape welcomes you from the busy main street in Patchogue. With the car parked next to one of the waterfalls near the front entrance, Jackie and I walked in to a wide open entryway and was greeted by Kate. Kate was extremely professional and did not treat us as if this were our second wedding. We were treated with nothing other than respect. Kate went over all of our options and showed us the property as if we had not already seen photos. The larger of the two reception areas has been beautifully renovated and will serve as an amazing backdrop to the beginning of our lives together. 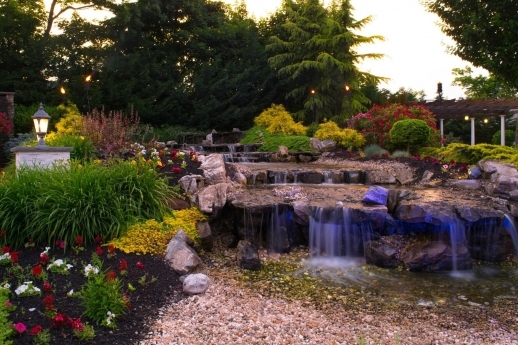 Our service will be performed in the back garden next to two more water falls and beautiful flowers. 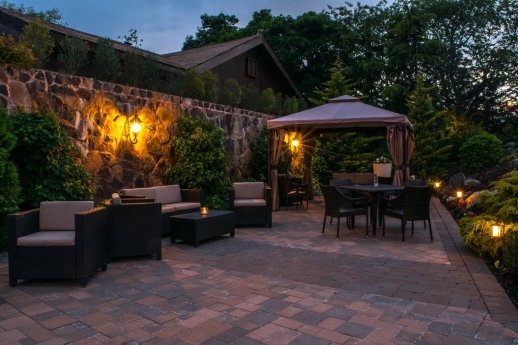 The Mediterranean Manor is a secret oasis in the middle of a Patchogue. Jackie and I could not be happier than we are with our choice and look forward to completing all of our planning with Kate's assistance. 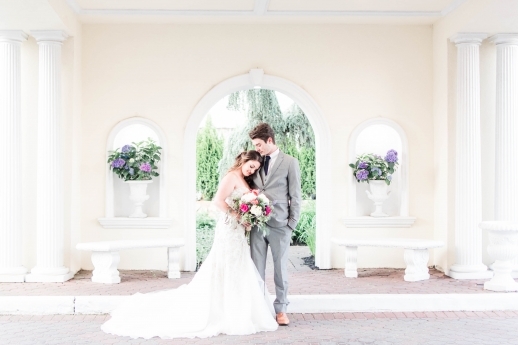 My husband John and I had our wedding at Mediterranean Manor in August this year and WOW what an affair! From start to finish, working with the in-house planning team was great. They helped me make sure I didn't forget a single detail. They also had renovations done in my room with ALL wood flooring and color lights!!! The vendor package I added on was a wonderful addition... and the food.... AMAZING! I upgraded to the filet mignon for my beef dinner entree and it was definitely money well spent. 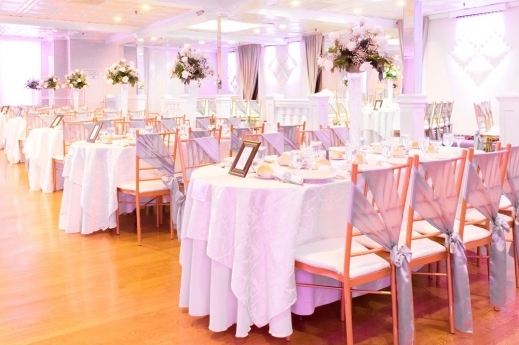 If you are looking to get married for an affordable price that will not break the bank, call Mediterranean Manor!!! Amazing! My husband and I can not thank the Med Manor enough for what all of our guests keep saying is "best wedding ever"! It truly was a gorgeous ceremony out in the back garden area. To a beautiful cocktail hour. Then a fabulous 4 hour reception. The service was amazing from the second I arrived on our wedding day to the very end when they wished us well and helped us pack up everything we needed to bring home. I told them if one single small detail was not perfect I never know about it. Everything was flawless from start to finish. I couldn't have asked for a more beautiful and special day. My husband and I are beyond thrilled and so thankful to the Med Manor for everything they did to make us have the best wedding ever!!!! My husband and I had our wedding here on 10/6/17. I cannot say enough about the Mediterranean Manor. Michele is amazing and was right on top of everything & gave us everything we asked for. Every detail was covered and more. Stefanie our bridal attendant went above and beyond we cannot praise her enough. Everyone at the wedding knew Stefanie and too praised her saying that girl was amazing. The entire staff was simply the best. I highly recommend this place. I cannot thank them enough for making our day so much more special. Thank you for the memories. 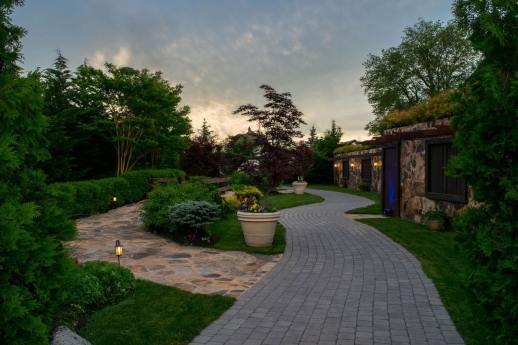 Mediterranean Manor and The Garden at Mediterranean Manor offers more than 50 years of catering experience, delivering impeccable service and an affordable, cost effective alternative for your special event. 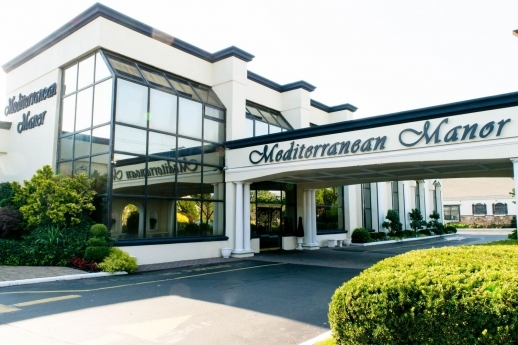 Today, Mediterranean Manor continues the family tradition of excellence. 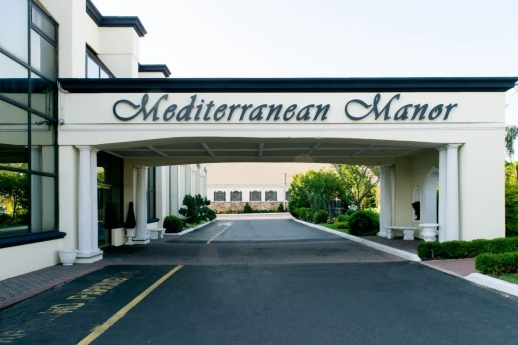 Known throughout Long Island for delicious cuisine and personalized service, the Banquet Staff at the Mediterranean Manor pride themselves on maintaining the highest standard of food preparation and presentation. 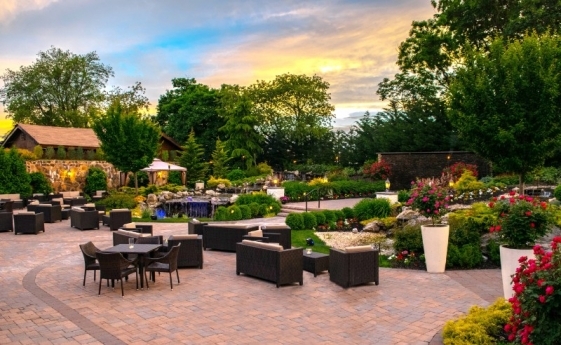 The Gardens at Mediterranean Manor is and oasis like no other. 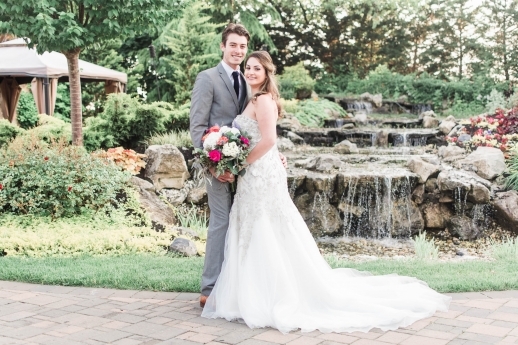 The Beautifully manicured grounds and cascading waterfalls are a picturesque backdrop for a ceremony and cocktail hour. We also have a beautiful bridal carriage that can be used for photos and ceremonies on site. We offer many packages. 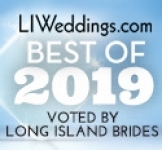 Our most popular package is the 'Who You Know' package, which has everything the bride and groom will need, such as the photographer, deejay, limos and more. We offer many packages. Our most popular package is the 'Who You Know' package, which has everything the bride and groom will need, such as the photographer, deejay, limos and more. 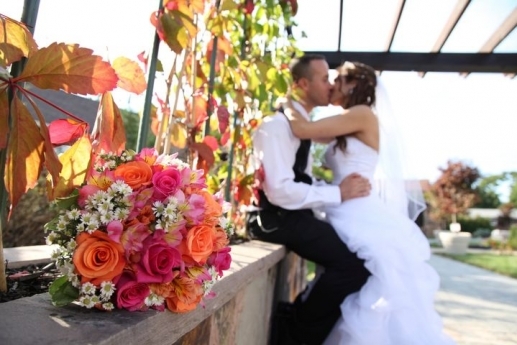 It is very popular since it reduces the hassle the couple might have planning a wedding. We are conveniently located on Main Street in Patchogue accessible by train, public transportation, and all major highways. Recently added was a magnificent waterfall that has quickly become a perfect background for your photographs together. Tell us how your facility differs from the 'norm' and how you can make a couple's wedding magic happen and wedding dreams come true? We operate with a simple philosophy. We want to give you an extraordinary wedding at an extra ordinary price. We do this with superb service, delicious food, and 47 years of experience. What kind of couple, would you say, do you and your facility most cater to? We cater to hard working, value oriented, price conscious Long Islanders. Tell us about the magic and ambiance your facility has to offer for each season. 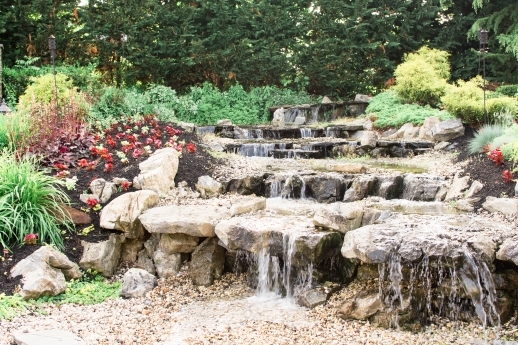 In addition to our beautiful waterfall, which can be used year round, we are very aware of the changing seasons and adjust our décor accordingly. At any time of the year, you and your guests will feel the magic only The Mediterranean Manor can offer. From summer landscaping and waterfalls to winter fireplaces - the setting is romantic with each season. 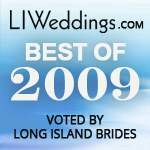 Tell us about some of the most unique events you've hosted. Every event we host is unique in its own way. Every couple that comes in is different and wants different things, but almost everything they ask for we can get, no matter how unique it is. 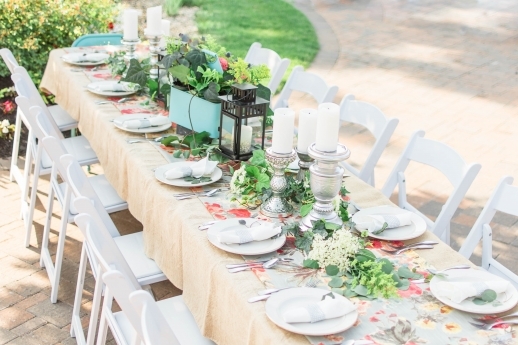 Tell us about some hot trends in wedding catering and how you are helping set such trends. These days, couples main concern is the economy and they want to make sure they get a great price and a great product. We work with each couple on every piece of their special day. 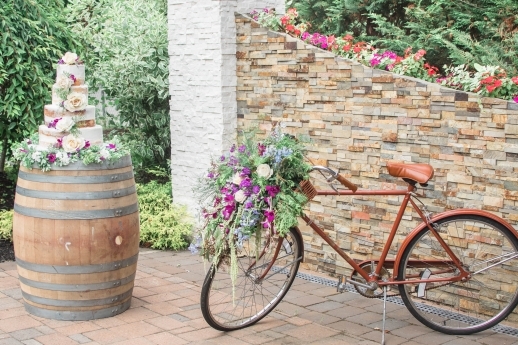 Today, it's not just chic' to be frugal, it's sometimes a necessity; and we are here to give them an affordable wedding without sacrificing the components to make their day special. How far in advance should a couple start to look for a catering hall? A couple should start looking for a catering hall right after they get engaged, even if they want a long engagement. If there is a specific date that they want, the earlier they book the better chance they have of reserving that specific date. How far in advance should a couple book their catering hall? 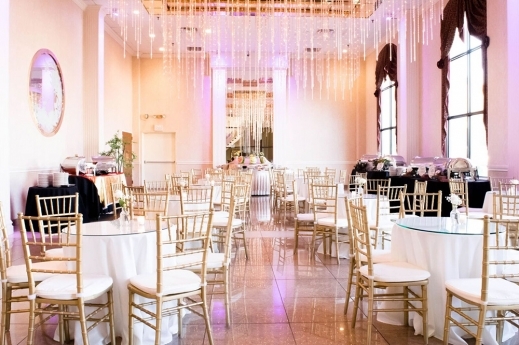 We may be able to accommodate your wedding with as little as one months notice. It all depends on how flexible you are with the date. If you have a definite date in mind, book early!!! By designing a wedding that fits their needs and budget. Every package is unique and 'fits' our couple's dreams perfectly. Short Term Booking!! Select Dates! !